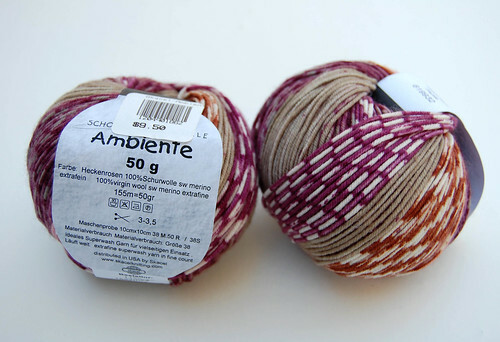 Stopped by Charlotte Yarn and couldn’t resist picking up a couple of balls of Schoppel-Wolle Ambiente. I loved the crisp delineations in the spacing. A little pricey, but hey, you only live once.